I LOVEEEE a good sandwich that has me craving the same one over and over again. Growing up, I would make the same sandwich to take for lunch at school EVERY DAY for a year – and then, I’d get sick of it (after eating it every day for a year) and switch to another. I’m so weird right? One year it was turkey and pepperjack cheese. Another year it was smoked ham and cheddar. Another year it was cracked pepper turkey and pepperjack. Point is, me and sandwiches go wayyyyyyyyyyyyyyyyy back! So here are the spots that I love to enjoy a good ole sammie at the moment – the list can AND WILL change given my mood 🙂 My favorite embedded Vessel map below has pictures by location, so check it out for the full scoop and mouthwatering pics/videos! Hello hidden gem of a pizza and sandwich shop in the Crestview neighborhood! Why the heck didn’t I go here sooner? We showed up at a random time on a Saturday – random meaning not lunch or dinner time but right smack in between aka 3PM-ish. They were packed! Kids, dogs, adults sitting outside and ordering inside…I mean, the weather that day was epic so I can’t blame people for hanging, but woah, I was shocked! Loved the Italian Sub and the Chicken Salad so much and we’re heading back soon for some ‘za! 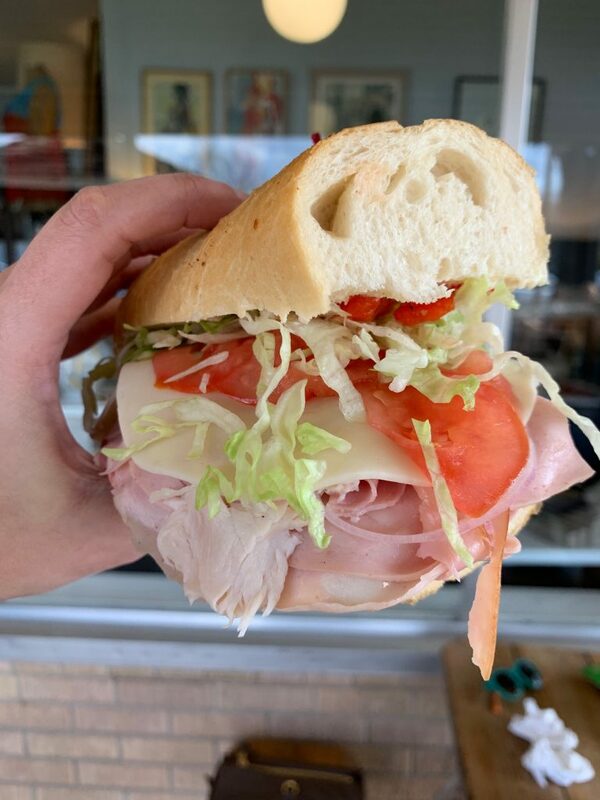 The Italian Sub – isn’t that just gorgeous? When this hot spot opened up off W. 34th Street, it became the talk of the town! Quite literally, my Instagram feed blew up with pictures of their reuben and pastrami sandwiches. 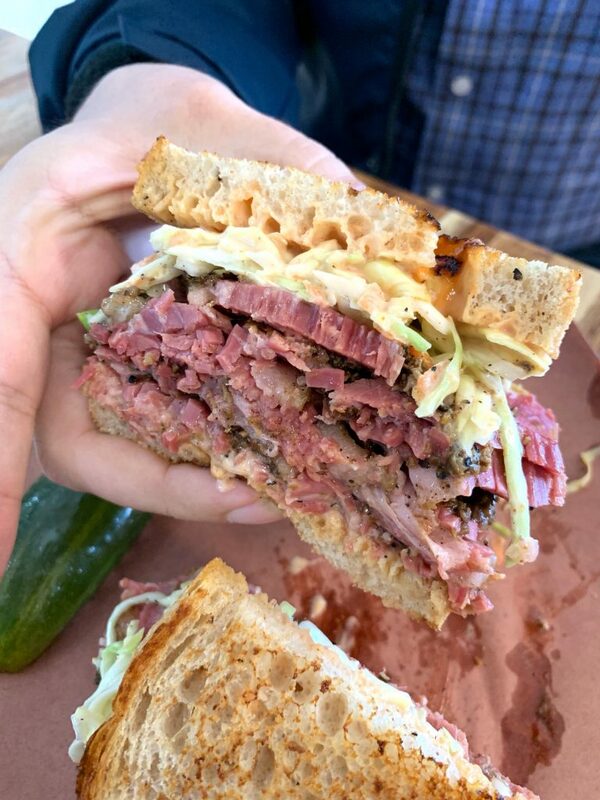 I ordered the Otherside Italian for myself and hubs got the Otherside (with Pastrami), and I quote him “This is the best pastrami I’ve ever eaten.” So there folks…I’m not sure why you aren’t headed there as you’re reading this! My Italian sandwich was one of the best I’ve had as well. Love their house vinegar that they add to it. And pleaseeeeeeeeeeeeeeeeeeeeeeeeeeeeeeeeeeeeeeeeeeeeeeeeeeeee don’t leave without ordering a chocolate chip cookie with sea salt sprinkled on top – best cookies in Austin post coming soon, FYI! I’m quite literally obsessed with the new Carpenter Hotel. Have you been? From delish golden lattes, to super amazing pastries, to incredible BRUNCH, LUNCH, DINNER AND LATE NIGHT, you will not go wrong here. They’re open to the public so you don’t have to actually stay there to enjoy their food. I’ve tried a heck of a lot of food there and I can’t tell you if there is one thing that is my favorite. I’d eat everything I’ve eaten again and again! Reuben and Fries – massive sandwich! This favorite Eastside spot of mine has shown up in a couple of my blog posts for many reasons. 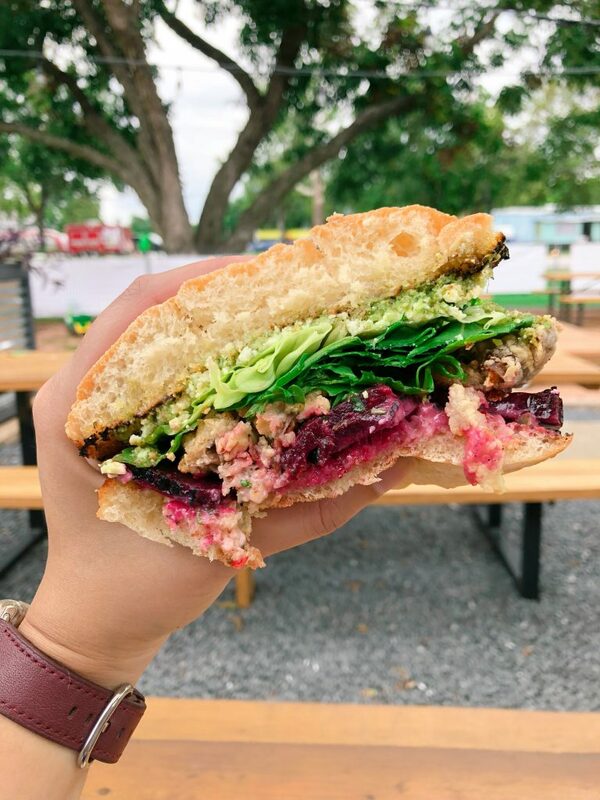 1) epic sandwiches 2) 2 locations within 2 miles of my house 3) JALAPENO HUSHPUPPIES 4) lots of veggie options for those days you need to eat veggies but you don’t feel like eating a dinky salad. Their bread for the Tortas is incredible. Made by Bellows Bakery, the rolls are freaking delish – like you could eat them on their own – but whyyyyy do that when you can eat a delish roll stuffed with all the goodness? A couple of my faves happen to be their veggie options – Caul Me and Mad Beets. I equally love the Lucille (think banh mi sandwich) and the Charlie (flank steak). ALWAYS pair your sandwich with an order of jalapeno hushpuppies. If you don’t, I will disown you – NOT JOKING! Address: 1900 E. MLK Jr. Blvd. and 4620 E. Cesar Chavez St.
Mad Beets – it’s LOADED! I’m kind of jealous of people who live in walking distance of Walton’s. I’d be there all the time if I lived close or worked nearby. Parking isn’t the easiest given all the construction on W. 6th these days. However, if you’re in the area, please drop in and eat EVERYTHING! They’ve got a Fancy Lunch option that is my go-to – half of a Ham on Pretzel and a Cesar Salad. Their pretzel roll with Ham is the perfect combo! Treat yourself afterwards (or before, I won’t judge) to a macaron or cake or a latte! 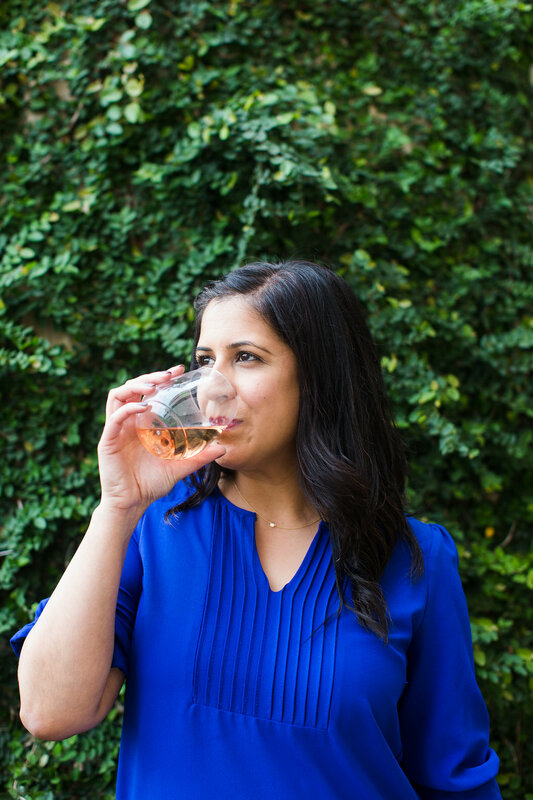 When two well-known Chefs/Restaurant Owners collaborate and open a restaurant together, YOU GO! Chef Tyson Cole and Aaron Franklin combined their genius skills to create Loro. Think Asian Smokehouse when you go and plan to be pleased as heck. Ok, so I think my favorite sandwich is one that has Turkey in it. 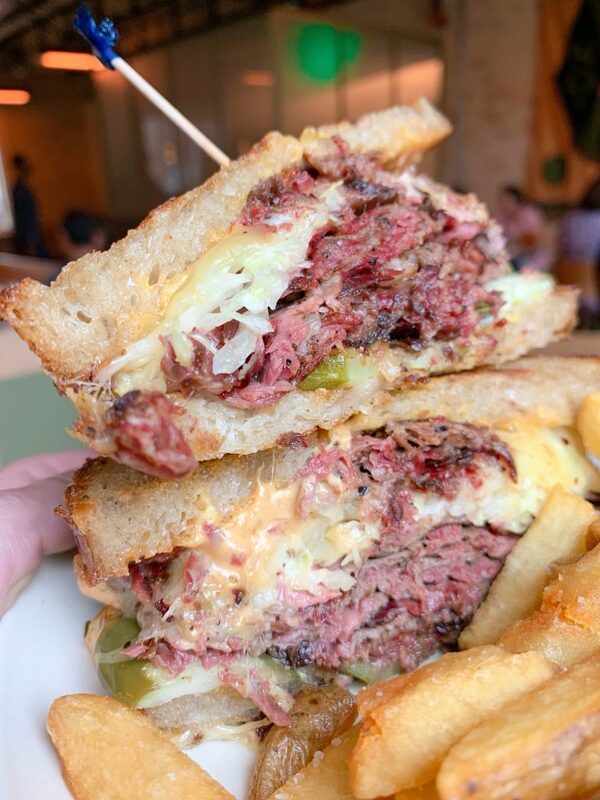 And remember, hubs loves a good Reuben. Address: 2115 S. Lamar Blvd. Turkey Reuben – that muenster cheese is THIC! This Jewish-inspired deli is serving up bagels, lox, matzo ball soup, and incredible deli sandwiches! 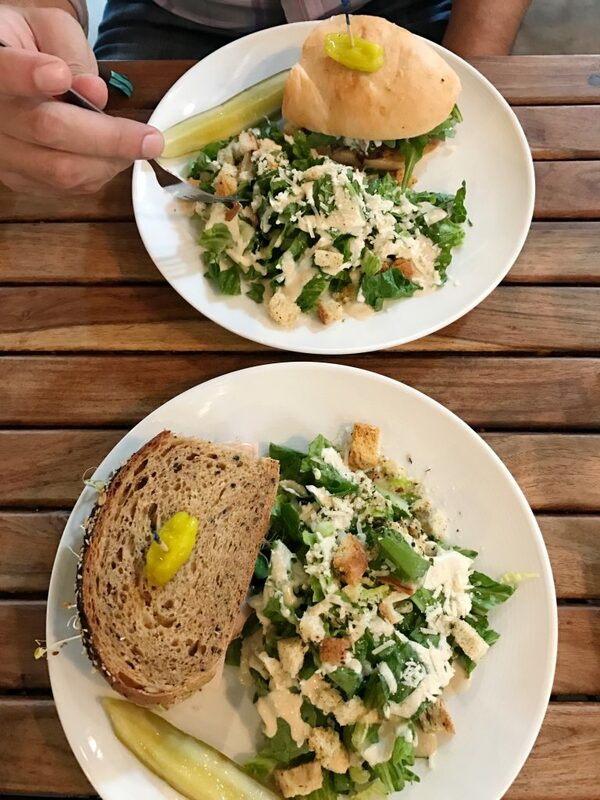 With two locations in Austin, you’re not too far from enjoying one of the best sandwiches in ATX. 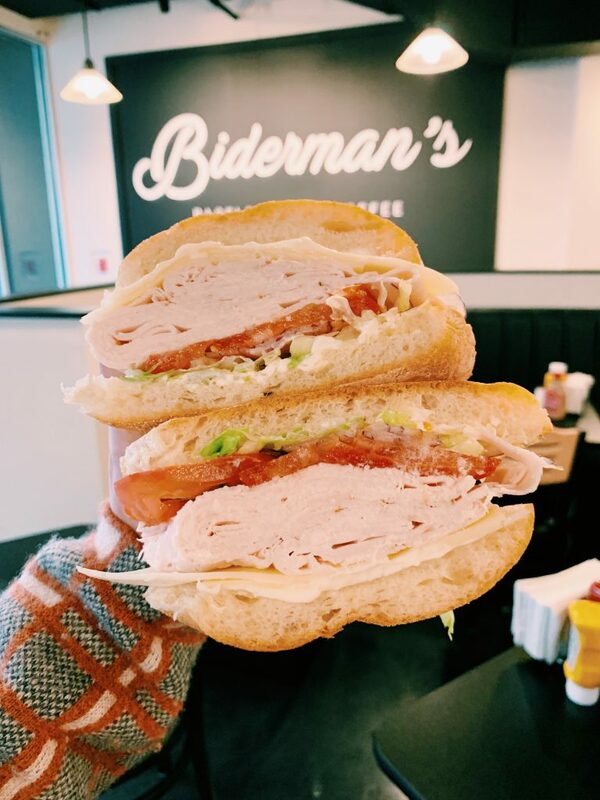 I stopped by the downtown location recently and ordered the Turkey & Swiss (surprise surprise)! I had to eat the sandwich in 2 sittings because that’s how huge it was! So so good…their bread, the turkey…the swiss. Gah! And they now use Rosen’s Bagels for their bagels so EPIC AND INCREDIBLE BAGELS AVAILABLE FOR YOUR DEVOURING at breakfast too! Address: 800 Brazos St. Suite 215 and 3742 Far West Blvd. Turkey & Swiss – barely holding on! 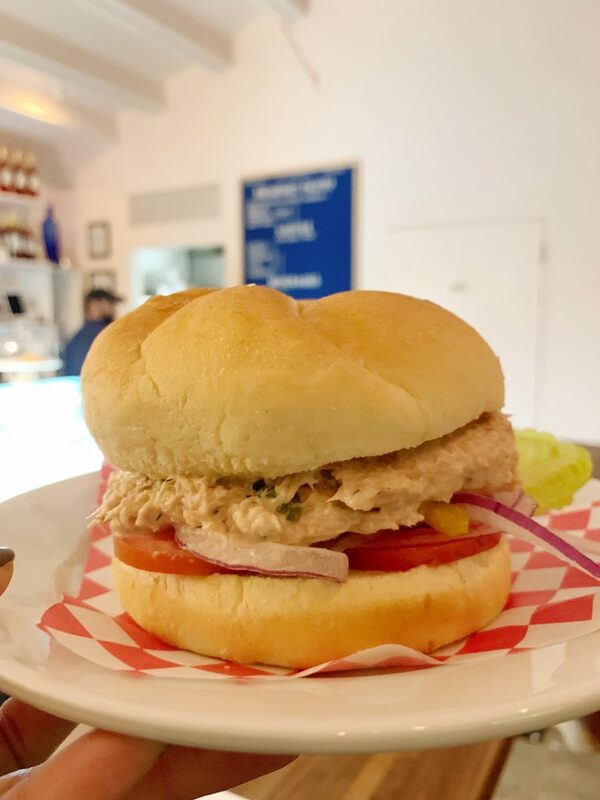 The ultimate collab of Via313, Nickle City and Juniper, Uncle Nicky’s is the best of Italian sandwiches, pastries, Negronis all packed into the cutest Hyde Park neighborhood spot. We went for a late dinner on a cold wintery day in the ATX, so it was quite crowded inside. They’ve got a cute patio but come on, it was too cold to sit out there the night we dropped in. A counter-service spot, we ordered the Italian Tuna and Hots Sandwich, Classico Pane Tostato and the PB&J Pane Tostato. Wowzasssssssssssssssssssssss….speechless, friends! Everything was so so good. The pane tostatos are small so get a few if you’re hungry. But they’re absolutely divine. The sandwich was substantial and LEGIT! I’ll be going back in for lunch ASAP so I can get my hands on some of their Cruellers, donuts, ham & eggs! Italian Tuna & Hots – perfection on a plate! No sandwich list is complete with including Easy Tiger. Afterall, they make most of the bread that restaurants use for their own sandwiches! With 3 locations in Austin – Linc, E. 6th and Cedar Park – they’ve pretty much got the city covered. Any guesses what sandwich I love and get every time? Come on now…you know me! If you guessed Smoked Turkey, you’re the WINNER WINNER CHICKEN DINNER! I just can’t get enough of that avocado chimichurri and those pretty watermelon radishes inside. 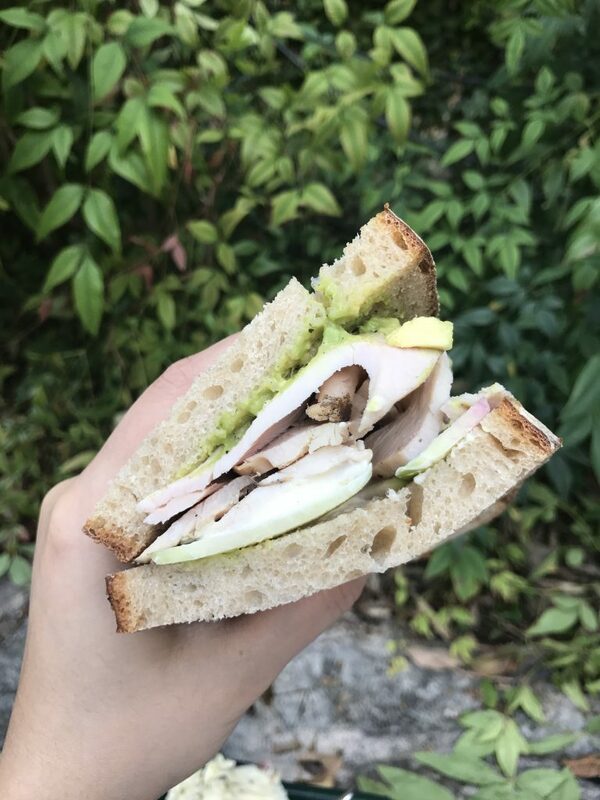 Smoked Turkey – that bread tho! 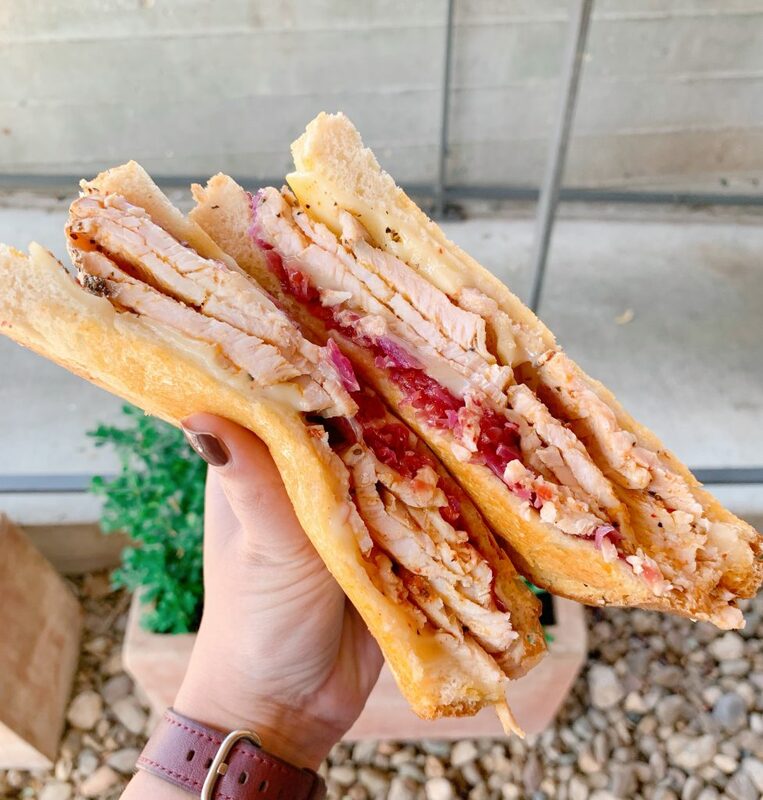 Stay tuned for some more sandwich recs as I eat them – you better believe there will be more turkey sandwiches coming to the list soon! This entry was tagged atx, atxbites, atxbitesrecommends, atxfood, atxloves, austin, austineats, bestsandwich, eateraustin, infatuationatx, italian, keepaustineatin, pastrami, reuben, sandwiches, turkey, vesselguide, visitaustin, vslatx, yelpaustin.